The Oscars are almost here, but who cares about that? 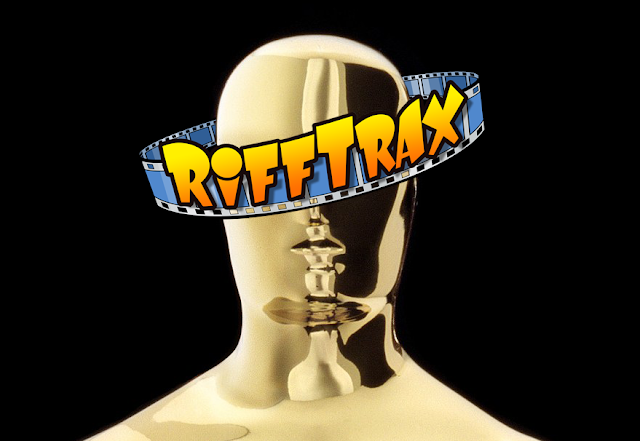 Instead of watching politically charged speeches and a cavalcade of celebrities felicitating each other for what feels like days, you can throw a RiffTrax Non-Oscar Party™! After spending some time going through the cast members of some RiffTrax B-Movie releases(and apparently skipping last year), I have found three more that have at least one person that was nominated for an Academy Award. And as a special bonus, we have a RiffTrax Short that was nominated for an Oscar! You can check out the previous lists here and here. 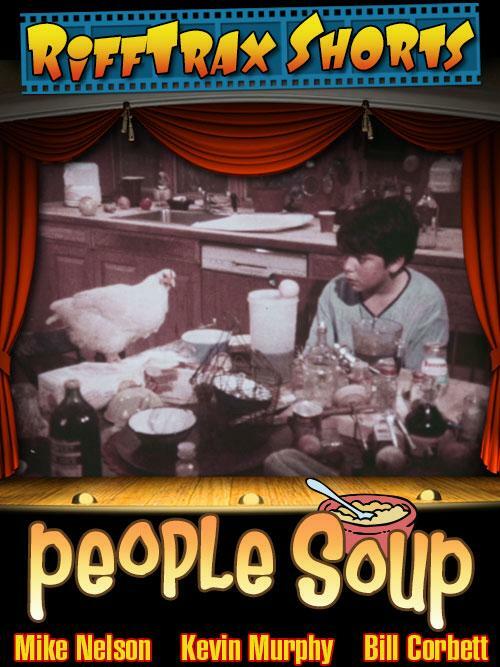 Alan Arkin wrote and directed this short. This short was nominated for an Oscar. It stars his two sons Adam and Matthew, who spend their time mixing together all the food and beverages in the house, and then tasting it. For some reason, this turns them into animals. What better way to start the evening! Aliens come to Earth to see if the planet can sustain life for them, and they plan on taking it from us by making humanity commit mass suicide. This film features Christopher Lee as an evil telepathic alien in a flying space cobra embossed black adult onesie. Those might very well be the two most ridiculous sentences I've ever written, but they are absolutely true. 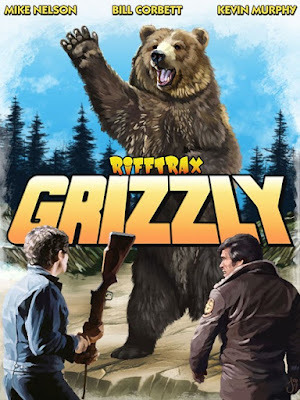 One of the many animal attack movies released in the Seventies (like the other RiffTrax releases Kingdom of the Spiders and Day of the Animals), Grizzly is the story of a bear with eighteen feet, killing people in a national park. Oh, it's an eighteen foot tall bear. Right. And there's only one park ranger who can stop it. Then a bunch of drunk hunters get in the way. You know what? This movie would have been much better if it actually was a bear with eighteen feet. 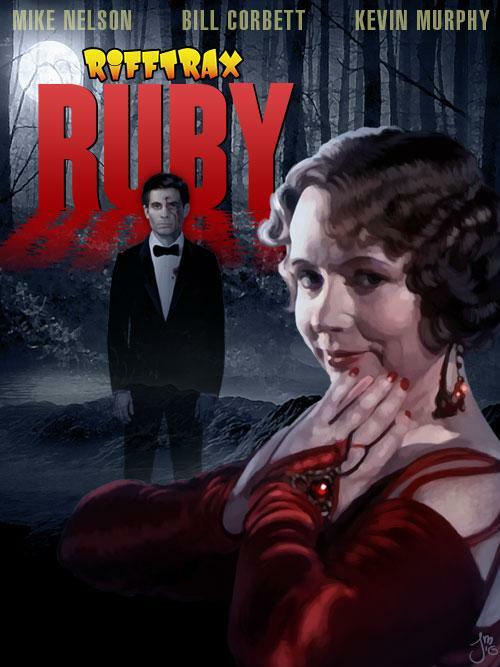 Ah, Ruby. This movie is part gangster movie, part horror movie, and all of it is weird. 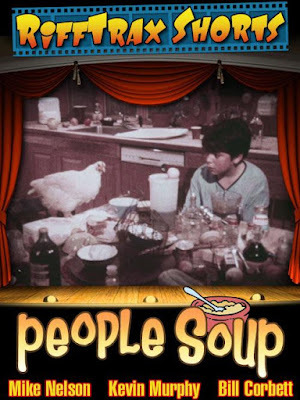 Believe it or not, it was the weirdest movie they had riffed until The Psychotronic Man. Ruby used to perform back in the 1935, but now (1951) she owns a haunted drive-in movie theater that only shows Attack of the 50 Foot Woman (a movie that didn't come out until 1958). See, the ghost of the gangster love of her life is haunting the movie theater she owns because she helped kill him. This movie has some astounding kills, and you will never look at a drink machine the same way again. 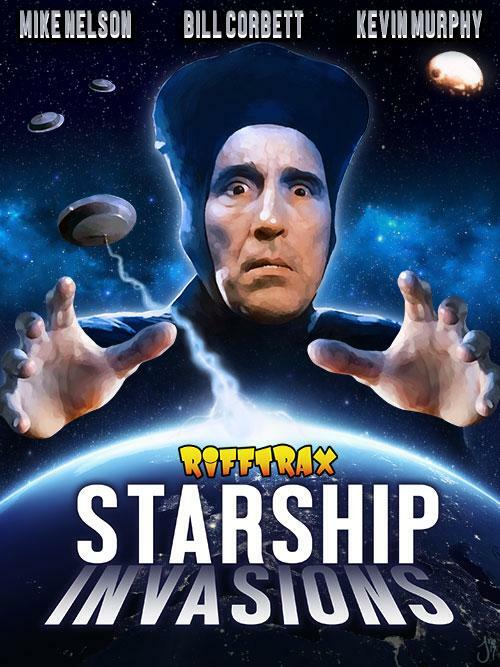 Everyone at RiffTrax (Mike, Bill, Kevin, and the writers like Conor, Sean, Molly, and the other Mike), works really hard to bring this level of entertainment to us all. I mean, they are the poor souls who have to sit and watch these movies over and over again without the benefit of the riffs. That is more than worth the extremely reasonable price tags on these movies. And if you do get these riffs by other means, you need to do the right thing and throw some money their way by heading to their donations page.